Follow along as we take our digital marketing agency from $1M in sales in 2018 to $100M by 2030. Hosted by Erik Olson and Kevin Daisey, Founders of Array Digital, our podcast chronicles the ups and downs, the wins and loses, and the tools and strategies employed along the journey to becoming a dominant player in the ever changing digital marketing industry. 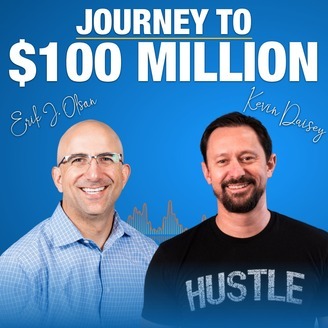 In today’s episode of Journey to $100 Million, listen in to Erik as he shares with you how we transitioned our accounting software here at Array Digital. Any kind of change within an organization can be big, so sometimes it’s best to stick with what you have for as long as you can. In some cases, it is necessary to change up some services as your organization grows, so listen in on today’s episode to learn how you can evaluate different business services! — Erik Olson is an award-winning digital marketer & entrepreneur. The Founder & CEO of Array Digital, he is also the host of the Journey to $100 Million Flash Briefing and daily podcast, and the organizer of the Marketers Anonymous monthly meetups in multiple cities. — Kevin Daisey is an award-winning digital marketer & entrepreneur. He started his first company when he was just 23, and is the Founder & CMO of Array Digital. 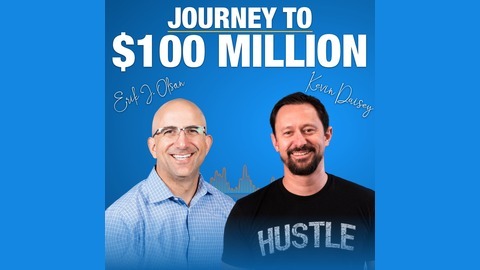 Kevin is the also the co-host of the Journey to $100 Million Flash Briefing and daily podcast, and the co-organizer of the Marketers Anonymous monthly meetups in multiple cities.